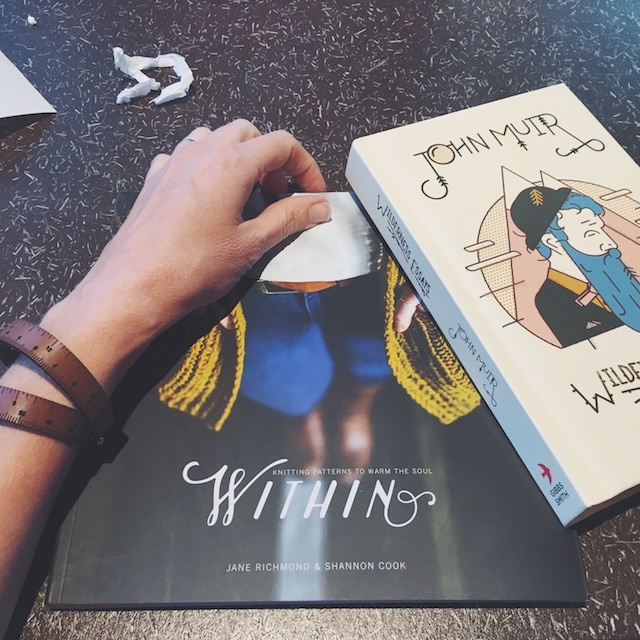 Let me just get right into Within by Shannon Cook and Jane Richmond. As you'd expect, it's full of things I want on my body when it's cold, beautiful photography, and charts to make choosing a size foolproof. What I didn't expect was to find myself turning the pages of this non-existent couple's story of escaping the chill of Fall in their secluded cabin and finding myself filled with envy. I wanted to be them. Okay I wasn't "filled" with smoldering envy, but there was some envy at the idea, and I'm not normally an envious person. I'm more of a melancholy, "Oh well, my lot is my lot."-kind-of-gal. So the emotions these beautiful photos produced in me surprised myself. (I really need a camping trip, friends. It's been a couple of years! I think it's my turn.) Can you blame me? Just take a look at some of the pattern photos. Don't you want to be there? 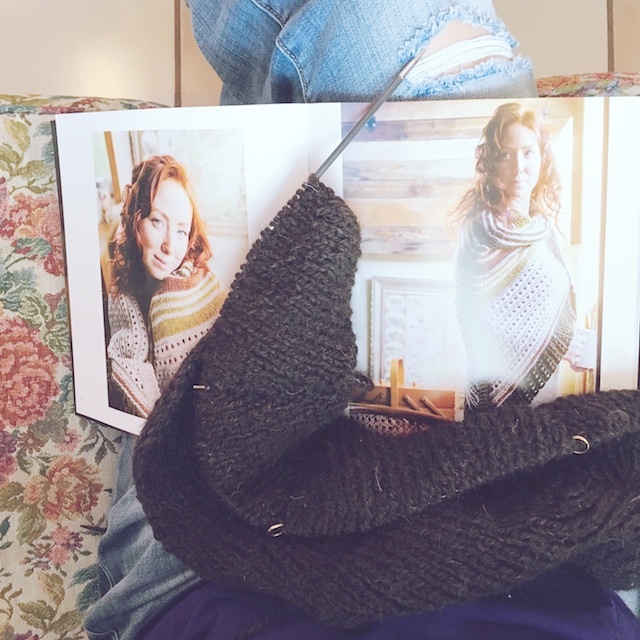 Anyway, Jane and Shannon created the perfect atmosphere for knitters craving Fall. I want to make all the designs. I just may, since I think I've got yarn that would work for all of them. This brings me to another thing I realized, while scanning through the book. They use classic, affordable yarn for these projects. I mean, who doesn't have a giant, giant, giant, hand-wound ball of Cascade Eco in their stash, or leftovers in several colors? I had two in colors appropriate for both the Fireside Pullover and Hudson. So, I ordered a bit more in a Craftsy sale and am set to make a Fireside for myself, which you see here, and a Hudson shawl for my grandmother for Christmas. The nature of those Eco skeins means I'll have enough leftover from her Hudson to knit one for myself. This is so doable! My giant Eco purchases will be enough for a sweater, two bulky weight shawls, and numerous other accessories and/ or colorwork projects. My Fireside is going along well. The construction of the collar was interesting to watch as it took shape. 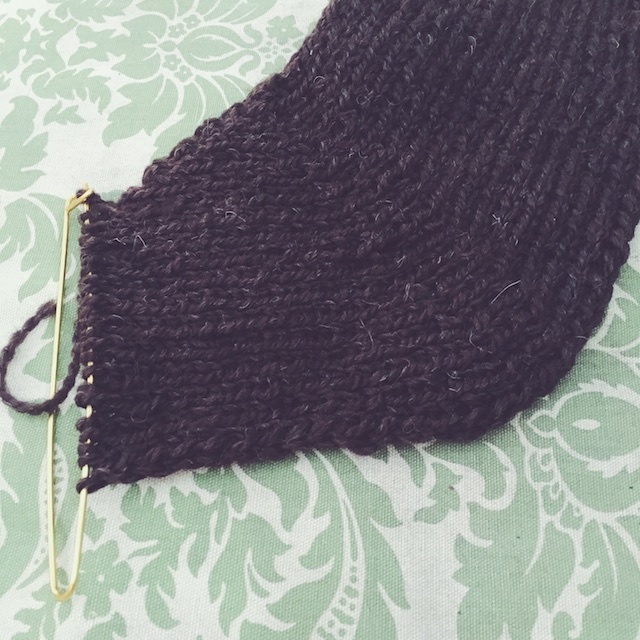 I didn't even resent the 1x1 ribbing when I had to start over to get gauge. 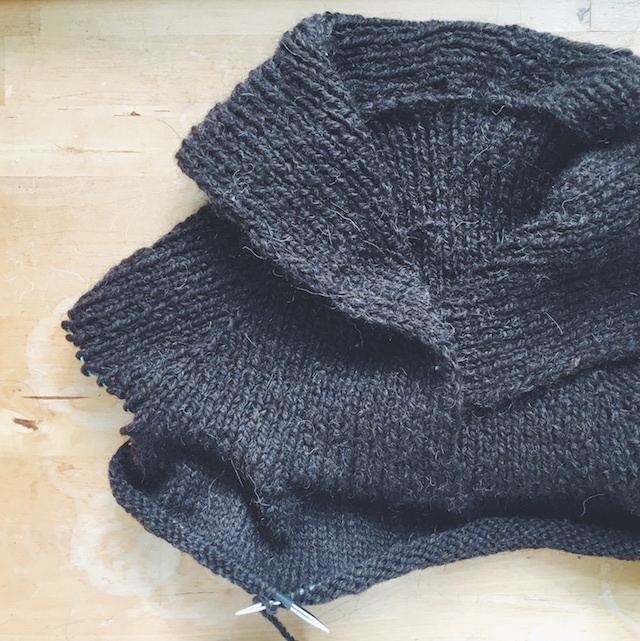 I'm past the armholes and now it's easy stockinette the rest of the way. As far as size, I chose size 34" based on the fit of the sample, which is given with sizing options in the book. I'm thinking that will work best for my in-between state, as I've been losing some of the dreaded hormone therapy weight. It only took a year. 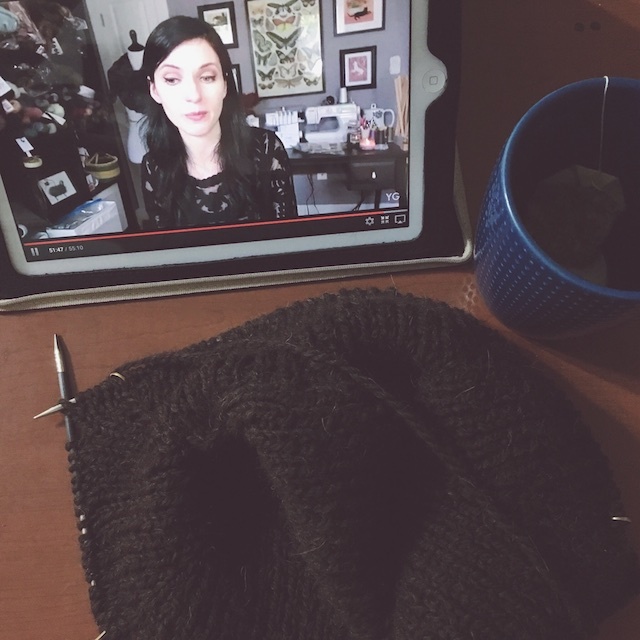 Now that I'm past the ribbing, this will be my podcast/ tv knitting project.